The brand coloured its bottle pink to contribute to the programme of psychological support of the Spanish Cancer Association (AECC).The launch was presented within “Gotas de Solidaridad” [Drops of Solidarity], a campaign that is part of the framework agreement between Solán de Cabras and the association. The bottle will be “transformed” into 20,000 minutes of personalised attention to patients and family members. Solán de Cabras strengthens its commitment to the women and families affected by breast cancer. For the second consecutive year, the “‘Special Reserve’ of mineral waters” is launching a special pink-coloured edition of its iconic bottle in two formats as part of its “Gotas de Solidaridad” campaign. 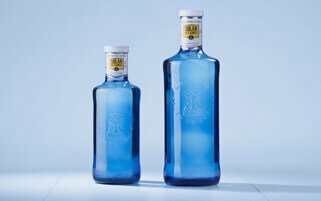 In total, the brand will put over 9.5 million bottles (5.7 million in the 1.5-L format and 3.8 million in the 33-CL format) on the market. These will be transformed into 20,000 minutes of psychological support through the Spanish Cancer Association’s telephone help line. These numbers represent a significant strengthening of the action carried out in 2014, when close to 2.5 million units were put on sale. The new launch, spurred by the tremendous support lent by consumers to the initiative last year, expands the availability of the pink bottles to practically every leading supermarket and big-box store in Spain. For the Managing Director of the Water and Soft Drinks business unit at Mahou San Miguel, Jesús Núñez, “this initiative is yet another demonstration of our commitment to prevention and to promotion of healthy lifestyle habits. On this occasion, we wanted to put our brand icon, our shade of blue, at the service of this cause. The goal of this project is to be at the side of women and their families from the first moment and to give them strength through a stream of positive messages and psychological support. In this collaboration, our consumers also have a big role. Their commitment has been essential for expanding the reach of the initiative and so that every citizen can collaborate in it”. For her part, Isabel Oriol, President of the AECC, stressed that “the Spanish Cancer Association has been a pioneer in oncological care and has been providing this free service since the 1980s. We are aware of the enormous impact a cancer diagnosis can have and that professional psychological attention to the patient and to the family is absolutely necessary from the first moment and over the entire disease process”. The AECC’s psychological support programme is totally free of charge and constitutes a great help for people diagnosed with cancer. The service is oriented towards answering questions and assisting people with the problems that arise from the moment someone is diagnosed, over the long course of the disease, and during treatment. And, it works on controlling stress and techniques for confronting this type of situation. In parallel with the point-of-sale action, Solán de Cabras has launched an action on social media which sends messages of support to women affected by this disease: “Gotas de Solidaridad”, drops of solidarity. The goal is to create a stream of solidarity that, message by message, bottle by bottle, encourages them and gives them strength in their fight against cancer. Solán de Cabras, recognised since the eighteenth century as a Medicinal Mineral Water and, in 1790, declared as a Water of Public Interest, and steadfast in its concern for healthy lifestyle habits, has collaborated with numerous initiatives like this one since its beginnings. 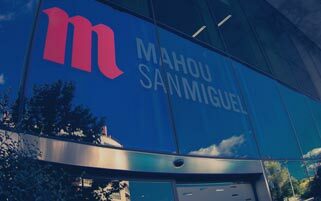 In addition to this action by Solán de Cabras aimed at the consumer, the Mahou San Miguel company will carry out a series of actions to raise awareness aimed at its 2,500 employees. The company will present workshops in which AECC experts, along with the people at the company responsible for health, will give talks at all the offices and production facilities to raise the awareness of their employees of the importance of early detection and healthy lifestyle habits, and to provide information on cancer. AECC, 62 years of experience in the fight against cancer The AECC, a private NPO (non-profit organisation) declared to be in the public interest, has been working on the fight against cancer for 60 years. The AECC is made up of patients, family members, volunteers and professionals who work together on prevention, awareness, accompanying those affected and raising funds for oncological research projects aimed at improving cancer diagnosis and treatment. The AECC maintains quality oncological research as one of its priority goals and is, today, the social and private institution that provides the most funds, €28 million since 2009, for cancer research. The AECC, through its scientific foundation, channels society’s demand for cancer research by financing scientific and social research programmes through public tenders. These programmes are aimed at achieving scientific advances to improve the outlook for patients and their families, and to consolidate a scientific structure in Spain, while sharing the progress being made with all of society. The AECC’s scientific foundation is certified with the AENOR quality seal. Structured in 52 provincial boards and with over 2,000 offices throughout Spain, the AECC carries out its work through its more than 15,000 volunteers and 680 employees under a philosophy of collaboration with health care authorities, scientific institutions and other entities that pursue goals parallel to those of the association. Always under the principles of independence, professionalism, transparency and proximity. In 2013, the AECC provided assistance to more than 400,000 people affected by this disease. A 100% Spanish, family-owned company, a leader in the beer sector in our country with a production share of over 37%. It has eight brewing centres, seven in Spain and one in India, two mineral water springs with associated packaging plants, and a team of over 2,500 employees. In 2010, it developed its new CSR strategy, which can be summed up with the slogan “An active engagement”, and released its first sustainability report. Since then, and with the challenge of becoming a reference in CSR in the beverage sector, it has carried out new initiatives and boosted others it has been working on for years, including both projects with a general scope and others linked to regions where it has production facilities. Currently, the CSR strategy of the brewing company revolves around five axes: responsible people management; commitment to ethical management with responsible marketing; the environment; responsible consumption, nutrition and health; and local commitment.